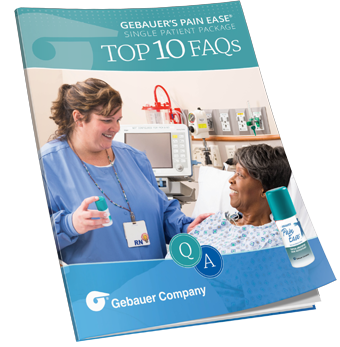 Why did Gebauer create a new packaging option for one of our bestselling instant topical anesthetics? Because you asked for it! When it comes to providing the best possible experience for your patients, busy healthcare professionals like you need assistance. Recently, we introduced an all-new personal-sized can that stays in the room with your patient and increases staff efficiency. Reasons why your hospital or clinic may choose to adopt single patient packaging. Learn how our new packaging option can help you increase patient satisfaction fast. Fill out the form now and receive your free guide!